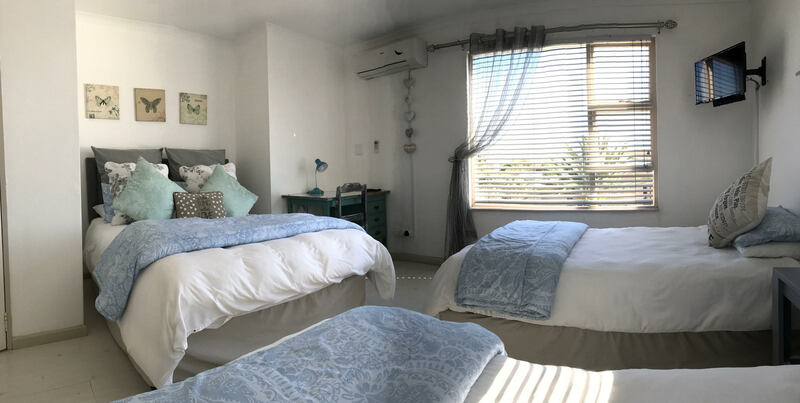 Neat and quiet little Guesthouse situated centrally in Gordons Bay, comfortable, homely and cozy environment, close to the beach, friendly and helpful staff. Suitable for families and people passing through that needs a warm bed and shower for the night to get up early for the long road ahead. Perfect for a holiday getaway! Whether you would like to soak up in the sun on well-known Bikini Beach, take a boat trip from the harbour or enjoy a meal in one of the many beachfront restaurants - you'll find it all just a few minutes' walk away. Gordon's Bay is a charming and relaxing town, nestled in the Helderberg at the foot of the well-known Helderberg Mountains. It has its own unique hiking trail all the way along the mountainside overlooking the ocean. It is the gateway to the second most scenic route in South Africa, and is only 30min. from the Cape Town International airport and 45min. from the famous V&A Waterfront., Stellenbosch and the wine lands are only 25min. away.